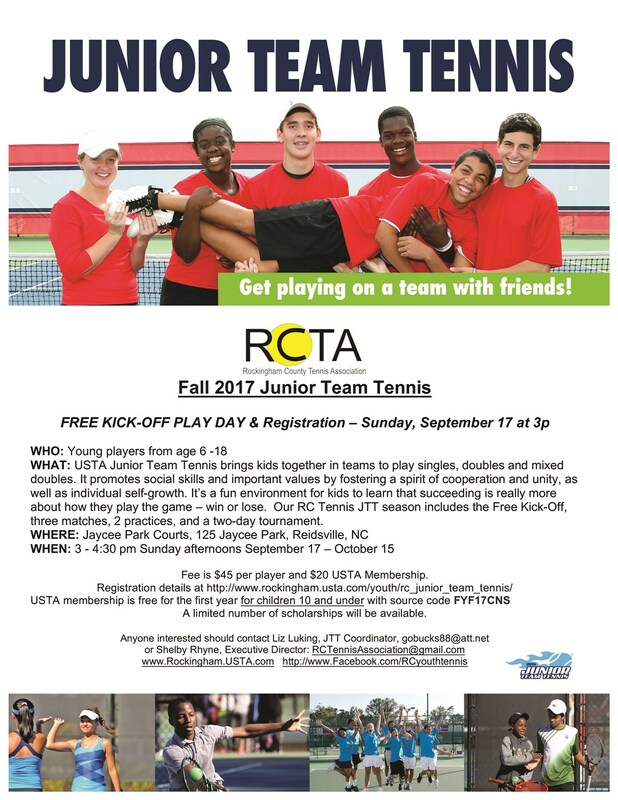 FALL 2017 JUNIOR TEAM TENNIS begins Sunday September 17 with a Free Kick-Off Play day at 3pm followed by a 4-week match season ending on October 14-15 with a 2-day Level 5 junior tournament. All matches may be held at Jaycee Park in Reidsville or Rockingham Community College in Wentworth. SIGN UP HERE to let us know your player is coming to the Play Day.